There are times where you’re going to want to go outdoors. We know, it’s weird, but it happens. In those occasions, especially when you’re off the beaten path, you might want to consider putting your delicate electronics in a safer place. The RokPak is a waterproof container that keeps your phone safe, dry, and protected from bumps and scrapes all the while charging it thanks to its 12,000 mAh battery and solar panel. There are two USB outputs, as well as a net to keep your other items away from your phone, like your keys and a few cards. 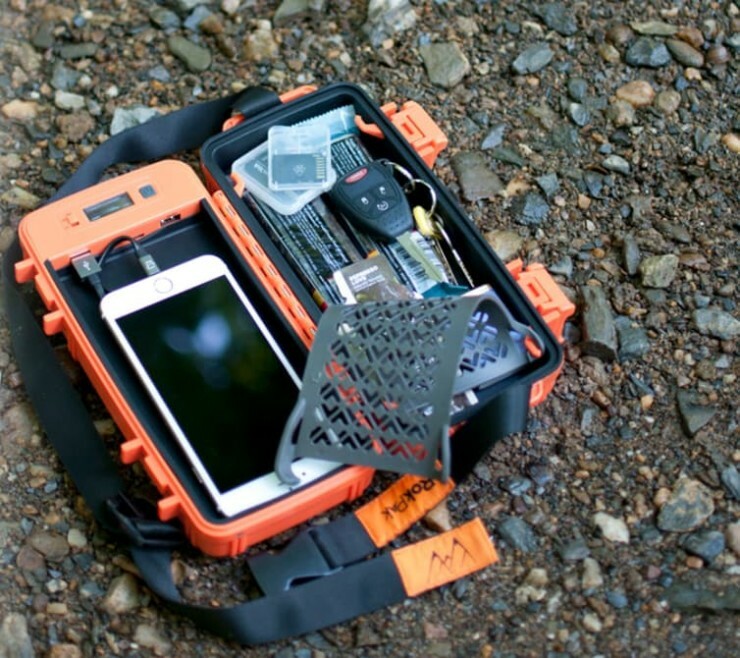 The RokPak consists first and foremost of a tough waterproof case measuring 9.6 x 5 x 2.8 inches (246 x 128 x 70 millimeters). The case is lined with silicone, which makes a nice soft home for your delicate electronics; the makers told Gizmag that the RokPak can even take a fall from four feet (1.2 m) against a hard surface and still keep things safe. There’s a also a silicone net on one side that holds items in place. The case also floats and insulates against extreme heat (temps up to 176°F/80°C) and extreme cold (-4°F/-20°C). Additional features include an LED flashlight, as well as an emergency beacon that will flash for up to 200 hours if the case falls in the water, making it easier to find. Cooking isn’t an exact science, but with the right tools, it can be, so you can cook that perfect steak or roast each and every time — minus the usual estimations and approximations that usually go with it. Well, when it comes to cooking temperature anyway, because that’s what the Range Smart Thermometer will take note of for you. 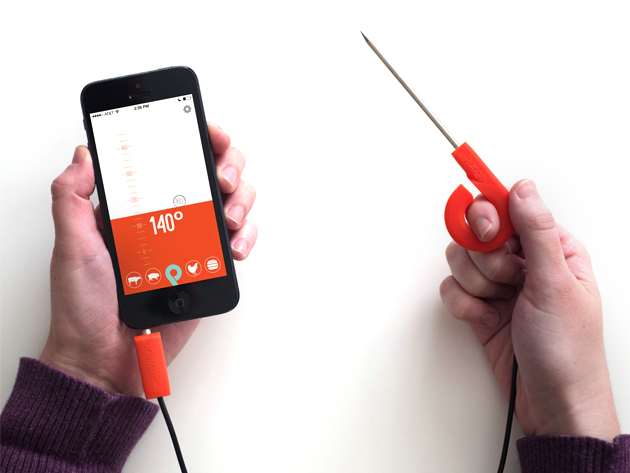 Its 3-inch sharp tip is made from steel and durable silicone so you can poke and prod whatever you’re cooking to record its temperature and get alerts on your phone when it’s ready to go. The Range Smart Thermometer is currently on sale for $59.95. So, what is your iPhone capable of? Your iPhone is a machine. It is a step ahead of its time. It is a technology that is pretty smarter than you. Also do you know that there are certain things that your iPhone is hiding away from you. You may think that you know it all when it comes to an iPhone, but trust me on this you will surprised to find out that your iPhone is capable of doing the following things as well. Well, for starters your iPhone can switch control. This special feature was exclusively meant for people who had disabilities. With this feature you could control the iPhone with your head. Isn’t that amazing? All you have to do is simply tilt your head and you will see magic. Yes, it is totally irritating to type on a small screen any time. A typo or typos are for sure to happen. So Apple came up with a unique feature wherein you just had to shake the cell phone and it will pop up with several option either to cancel or continue or simply undo the typing. Life indeed made easy. Another thing that you may not know of the iPhone is that it has a feature called location based reminder. So now you do not have to maintain a list of things to do when you reach a certain place. With the help of GPS you can easily get reminders of the things that you were supposed to do, when in that particular place. Many a times your selfies or other clicks come out blur. Thanks to the burst feature you can now take plenty of photos on a single go. All you have to do is hold down the picture button for a continuous stream of photos. How hard can that be now? It is not easy to click a photo or selfie if you have a touch screen. With the help of volume control feature available on your iPhone you can now click photos with the volume controls on your iPhone. And when you want to charge your phone on a super speed, just put it on flight mode and the phone will charge as fast as ever. The reason for this is quite simple. This way your phone will not be looking for any WiFi connections or anything. It will completely focus on just charging. 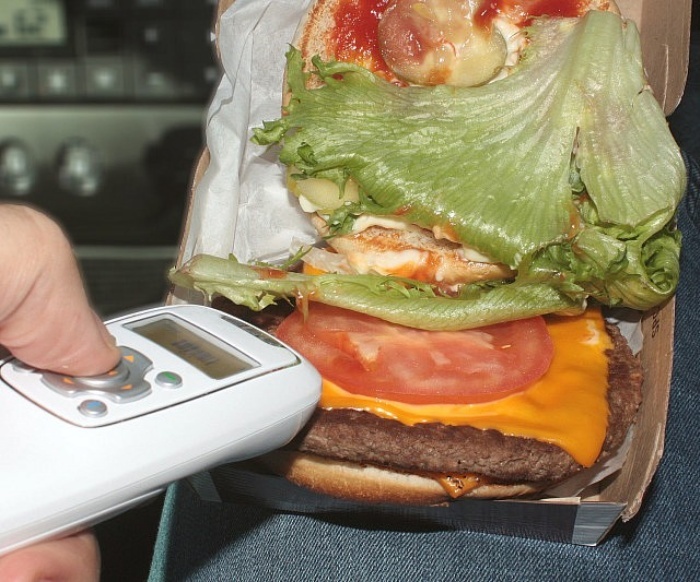 The post Food Spit Scanner Device: Because Someone Might’ve Spit In Your Food appeared first on OhGizmo!. Who left the door open? Who broke your limited-edition action figure? Who ate the last cookie in the cookie jar? Sure, these are trivial matters, but rules are rules, and honesty is still always the best policy. But if no one’s owning up to the crime, then it’s time to break out the Home Lie Detector test. 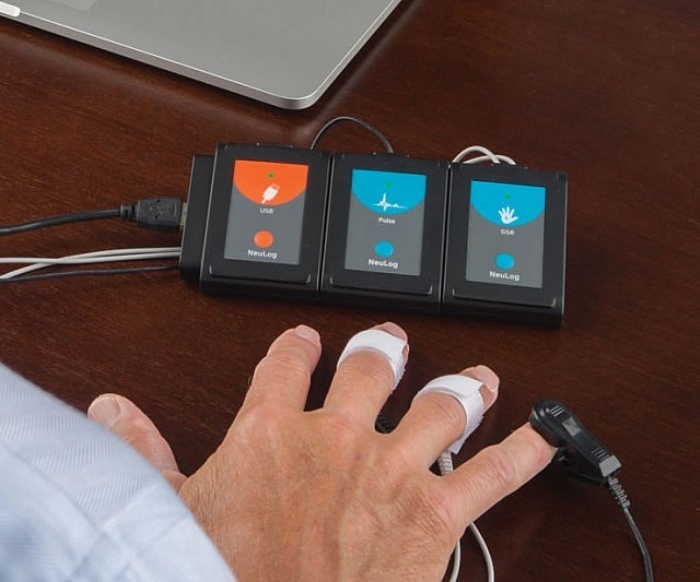 Just hook the nifty little gadget to your laptop and snap the sensor onto your subject’s finger. It keeps track of the person’s pulse, which will most likely speed up when they’re about to tell or are telling a tall tale. It’s available online for $300. The post Truth or Dare: Home Lie Detector Test appeared first on OhGizmo!. Who wears wristwatches anymore? No one, but don’t tell Apple that. Still, if you fancy yourself old school and don’t plan on getting a smartwatch, you might want to take a look at this cool Flux Capacitor watch instead. With 2015 (the year that Back to the Future II mostly takes place in) right around the corner, it seems fitting to consider its purchase. It has an LED flux capacitor in the middle, looks ok, and tells the time in an obtuse manner that may add to its charm in the eyes of some. Reading the time on the Back to the Future Flux Capacitor Wristwatch is pretty fun. Press the bottom button and then get ready to count lights. Time is divided into hours, minutes first digit, minutes second digit – so it looks confusing, but is very easy to read. (Example: 10 lights, 5 lights, 3 lights = 10:53 – and it repeats). At the same time, the time circuit LCD display will show you the date. We actually have a soft spot for these types of watches, having been big fans of Tokyoflash for a while. And at $50, this Flux Capacitor timepiece is about half the price of pretty much any Japanese equivalent. The post 2015 Is Upon Us, Might As Well Get A Flux Capacitor Wristwatch appeared first on OhGizmo!. The mobile manufacturing giant Samsung has launched the Galaxy S4 mini smartphone in the India for Rs. 27,990. Comes equipped with a massive 2GB RAM and Android 4.2.2.: Google’s MOTO!! Ever since The internet giant Google took over Motorola, rumors about the Moto X smartphone have been doing the rounds. The Mobile Phone giant ‘Samsung’ has claimed to have shipped 6 million units of its flagship smartphone, the Galaxy S4 since its launch on April 26. Sony is launching a new Xperia smartphone designed to be dunkable.